We were having a debate in the nio office yesterday. 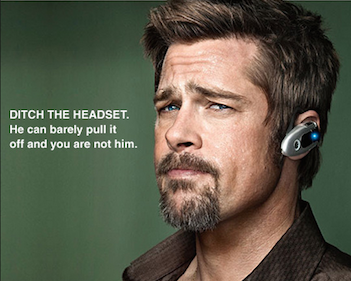 The thesis was pretty simple…does wearing a Bluetooth earpiece automatically make you a jackass? Although mostly used in the privacy of my own home, I was once known to proudly sport the ol’ Jawbone on a daily basis throughout my previous career. I tried my best to defend its convenience and functionality, but was unanimously shut down by the rest of my less-than-compassionate coworkers. I was indeed a jackass. Regardless, this got me thinking…a lot has changed in the past year and a half. Does wearing a Bluetooth earpiece automatically make you a jackass? When I started with nio last January, I was the 13th employee in our mostly empty 10,000 sq. ft. Colorado office. The twelve before me had been grinding hard for the past two years. They had built an impressive software platform and were poised to enter into an agreement with our first enterprise industrial customer. With a background in software sales and a “Business Development” title, I came in with big ambitions— thinking that I’d be able to hit the street and start closin’ deals. It didn’t quite work out like that. We had bigger plans. It was March. 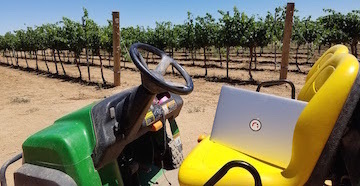 We had a 5-person team, a 20-acre vineyard, and nio. Ready. Set. GO digitize agriculture. Next thing I knew, I had boots on my feet, blisters on my hands, and was surrounded by tumbleweeds in the middle of Willcox, Arizona at Deep Sky Vineyard. So much for “business development.” As an early stage start-up, it made sense to take on everything ourselves as a way to build our expertise in this new industry. We designed the solution, sourced the best sensors, built the nodes, cut the PVC, set up the network, and augured countless holes beneath the 100 degrees Arizona sun. This was real work. When you find yourself sweating through your Levi’s while hallucinating in between endless rows of Petite Syrah, you start to ask yourself what the hell we were actually doing with this “software” platform? Within the next few weeks, it became very clear exactly what we were doing. As the vineyard became connected and nio brought it to life, it was easy to see that we were creating the prototype for the future of agriculture. We worked very closely with the vineyard owners and other farmers to build a solution that would offer real value. Like many farmers, their entire previous experience in agriculture had been based on assumptions, their best guess, and what they could naturally sense with their hands, eyes, fingers, and mouth. With nio, they now had direct access to hundreds of thousands of precise data points every day, displayed to them in an intuitive way or intelligently acted upon through their own teaching. Although we built in some advanced features that allow the vines to autonomously water themselves, for example, we under-appreciated just how much value the “little” things that we did would add. Instead of a broken valve flooding the vineyard for two days or a dirty filter limiting flow for two years, nio was giving immediate feedback for corrective action. 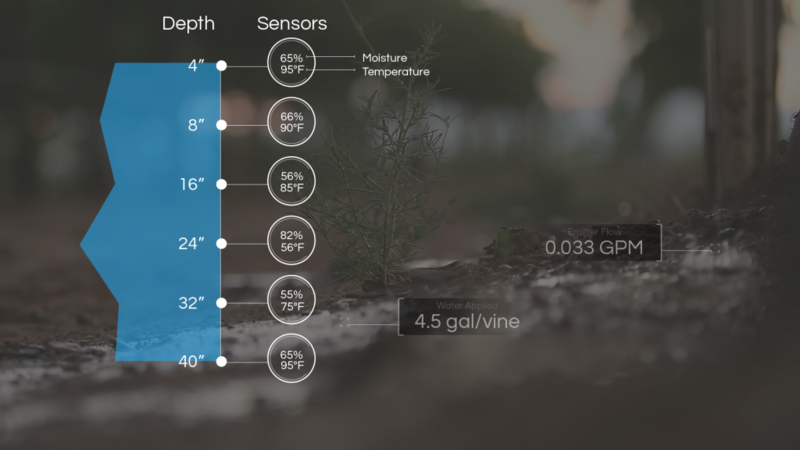 In fact, because nio could now track real-time flow through the valves, the farmers successfully changed their irrigation strategy to a very precise gallons-per-vine based model. They were able to decrease water usage by up to 50% because of the visibility they now had the real-time impact on the soil and roots. It turns out that’s pretty important when you’re trying to grow grapes in the desert. As I’ve traveled to various Agtech conferences in the past several months, I continue to hear technology types throw out impressive buzzwords like “Artificial Intelligence” and “Machine learning.” To be honest, I have been just as guilty. We talk about the digital age that we seem to think is pervasive and assume that the average farmer is already taking advantage of it. While there is immense opportunity for these technologies in the future of agriculture, there are plenty of problems that can be solved for farmers before we even get to that point. They want to know that what is supposed to be happening is actually happening, that they can trust their infrastructure and labor, that they have a single log for all actions and notes in the field rather than the current industry standard…a pencil and paper. 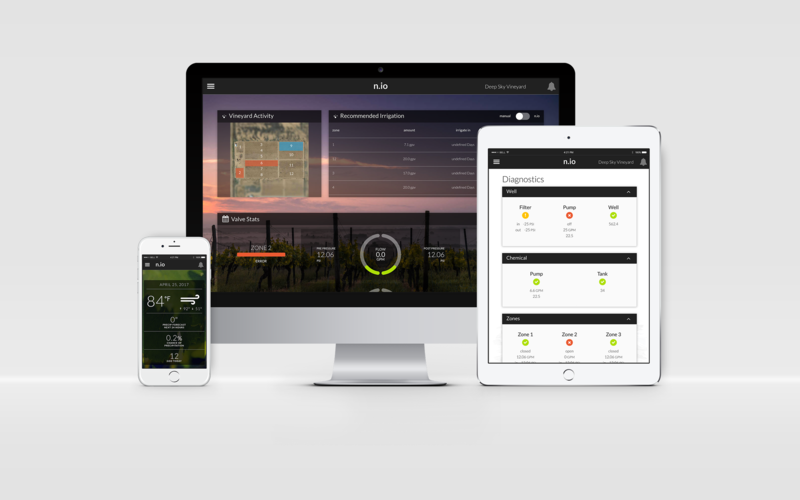 It became very clear throughout this first season that nio is that single platform capable of immediately delivering those “small” wins, while progressively integrating more advanced technology as it earns the farmer’s confidence. I was unsure of myself when this whole thing started early last year. I knew very little about the inner workings of our technology and even less about agriculture. I did know, however, that I had the confidence from our leadership, some really talented coworkers, and a software platform capable of seamless transformation. I had seen it done with my own eyes in our industrial application and knew that we could do the same in agriculture. In a few short months, we transformed a completely manual, subjective operation into a highly sensorized and autonomous example of precision agriculture. We showed the world what we had built in a public webcast last September (you can check it out here). The feedback from this prototype was beyond what we expected. As a result of several awards and magazine articles, we have had farmers from all over the world, with various crops reaching out to validate that there is a significant need for what we had built. Naturally, they now want to know when they can use it on their own farms.